Your kitchen can actually help sale your house. 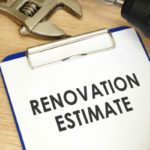 Numerous research institutions have found remodeling your kitchen offers one of the greatest returns on investment when compared to other home renovation projects. According to a study by LearnVest, the top real estate agents in the country rank kitchen upgrades as the number one improvement for adding resale value to your home. Before you start knocking down walls and ordering new appliances, beware that not all kitchen remodels return money equally. How you approach your kitchen remodel can change the outcome of your seller success. Here we provide answers and insider details on how to remodel your kitchen for a quick resale and high return on investment. How Important Is A Kitchen Remodel For Resale Purposes? Plus, the actual cost to spruce up your kitchen is less than potential buyers are going to assume. If they think it will cost them $30,000 to upgrade the kitchen, they are going to take that $30k off of their offer, ultimately dropping your home’s resale value. 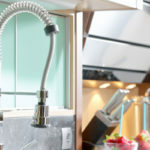 On the flip side, it will cost you less than $30,000 to make a flurry of minor updates that enhance the look of your kitchen and help you get full resale value out of your home. Depending on how much you spend on your remodel, and how the remodel turns out, the amount you get back on your investment will vary. For minor remodels, the return on investment is considerably higher. According to statistics gathered by Remodeling, on average minor kitchen remodels cost $21,695, and return 72.8%. On average, major kitchen remodels cost $58,367, and recoup 68.7% of their total investment. While major renovations might be what you need to love your current home, if you are looking to sale your home, miner adjustments return the greatest percentage of your investment. So what are the differences between minor and major kitchen remodels? Minor remodels can still look major, but they don’t include knocking down walls or changing which side of the kitchen the sink is located. 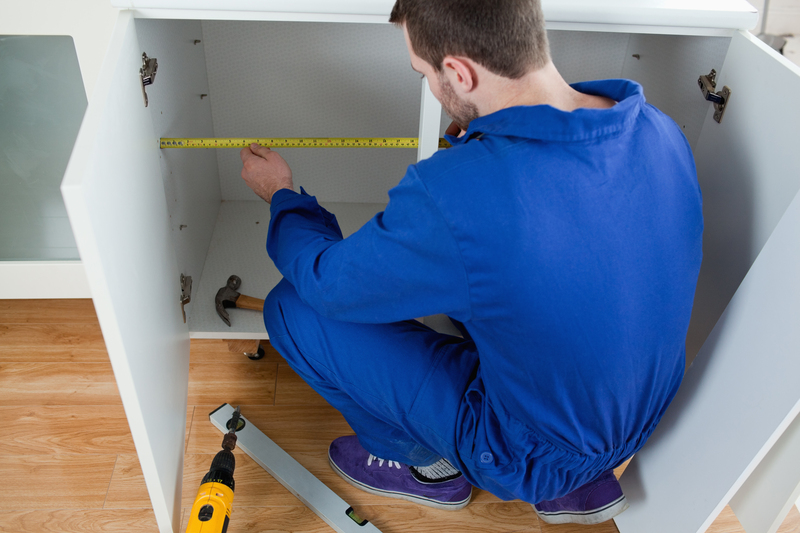 When you start moving walls and appliances around, plumbers and electricians get involved. All of this can add up to a lot of money, and fast. If you can keep your appliances and walls where they are currently stationed, you can still alter the look of the kitchen without spending a fortune. A more cost-effective way to completely alter the layout of your kitchen is to add a center island or exchange old and outdated cabinets for fresh and functional storage space. Both of these options increase the function of your kitchen without going into ‘major’ renovation territory—which top $100,000 in upgrades. Where you live also impacts the amount of money you should put into your kitchen remodel. If the average home value in your neighborhood is $150,000, it’s not a good idea to install a $50,000 kitchen—there’s just no way you are ever going to recoup that money. Real estate agent, Adam Taffel explains that you don’t need to completely gut your entire kitchen unless it does not function well at all. Otherwise, there are so many ways to upgrade without tearing things down and spending a fortune. According to the owner of the Real Estate Investors Club of Los Angeles California, Phyllis Rockower, the only time you want to knock down a wall for resale purposes is if you are creating an open floor plan. Open kitchen floor plans are really popular these days. People like to have a kitchen that connects to their family room or den, and so this can add good value to your home. In the words of Mr. Rockower, “If you’re cooking, you can still hear what people are saying during a party, or keep an eye on your kids while they’re playing.” So while minor renovations usually rule supreme for resale purposes, there are instances when major remodeling can add more value. The success of a kitchen remodel for resale purpose is not just based on how much you spend, but also what your remodel looks like at completion. The last thing you want to do is spend money on features potential buyers shy away from. That’s why the number one tip for remodeling success is simplicity (Read More). Keep colors, appliances, and the overall design simple and focused on function over details. If too much of your distinct style shines through, this will make resale more challenging. 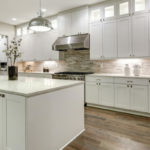 Color is the biggest thing to keep simple, for instance white and maple cabinets are classic colors that continually do well in regards to the real estate market year after year. Appliances and appliance accessories also need to be simple but updated. Highly detailed faucets are not going to fetch back your money; instead you want to look for classic quality, something to suit a wide variety of styles. Skip the fancy details and focus on making your kitchen practical above all else. The difference between a fancy crustal knob and a basic steel knob could be as much as $90, multiply that by an entire kitchen full of knobs and you’ve just broke the budget. Not to mention, fancy detailing like this will never recoup costs. If you are going to spend the money and make the effort to remodel your kitchen, you want to make sure that it’s done right. While planning your kitchen remodel it’s wise to visit local open houses that are in the same price point as your house. Scope out the kitchens to see what types of finishes and appliances are used. This can give you a better idea about your competition and what is selling and what is not in your area. For more minor kitchen upgrades check out these 6 ideas proven to help resale value. Back in the nineties it was really popular to have a desk area in your kitchen, largely because cell phones did not rule the world and you needed a place for your landline. These kitchen desks seem functional in theory but turns out that no one ever really uses them. For this reason, if you have a desk in your kitchen you can transform it into a pantry or other space that provides more modern-day function. Old looking cabinets can be the first things to turn off a potential homebuyer. No one wants to store their food in run-down cabinets that don’t close properly or have lost their original coloring. By adding new kitchen cabinets, your kitchen gets a complete face-lift plus added functionality—best of both worlds! 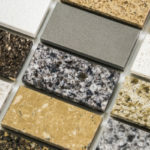 Countertops, alongside kitchen cabinets, are what people tend to notice first about a kitchen. By adding nice granite, stone, or some other fashionable counter top surface you instantly increase your house’s resale value. 4. Stainless Steel Steals The Show! Farmhouse sinks are popular one year, then another type of sink is popular the next. If you are planning to remodel for resale you are going to want to keep it simple and skip the ever-changing trends. Stainless steel sinks are classic and always in style no matter what trends come and go. For all appliances, stainless steel offers a guaranteed way to please the masses for many years to come. Tiles, paint, ceramic, there are tons of materials you can use to create a decorative backsplash. Backsplashes can go behind the oven or the kitchen sink, or anywhere there is a segregated portion of wall. Backsplashes offer an affordable way to bring an updated style to an outdated kitchen. Over time baseboards, doors, and crown molding can accumulate dust and dirt, scraps and stains. When you see this same surface stains day after day they can fade into the background. But to a potential homebuyer, these blemishes are sure to stand out, a reminder that they will have repairs to do if they buy your home (More information). Take a close look at your kitchen walls to see if they could use a coat of touch up paint, or if they need any chips or holes filled in. After cleaning baseboards, walls, and crown molding you can add a coat of paint over stubborn stains so that your walls and wall detailing glisten like new. By taking care of minor cosmetic damages you can spend very little money while greatly improving the overall freshness of your kitchen. For major and minor kitchen remodels, Tops Cabinet has you covered with top-quality cabinets, countertops, and accessories at wholesale prices. 3517 W Boynton Beach Blvd. Feel free to email us at anytime info@topscabinet.net and we will get back to you as soon as possible.